Cornerstone's Newcomer Program is specifically designed for patients who have little to no experience with treatment and recovery. Addicts and alcoholics come to Cornerstone of Recovery with broken minds, bodies and spirits, and our job as one of the best substance abuse treatment centers in the nation is to help them put themselves back together. Mentally and emotionally, that’s a process that takes time. We point out to them that they didn’t become addicted overnight, and they’re not going to get better in 24 hours. One of the first areas in which they experience success, however, is through our Fitness Program. Based out of a 15,000 square foot fitness center that opened in 2014, the Fitness Program at Cornerstone of Recovery is an integral part of the therapeutic process in which every patient participates for an hour almost every day of the week. It’s a crucial part of Cornerstone’s whole-person approach to treatment for alcoholism and addiction, and for many patients, it promotes the release of endorphins into a system starved for feel-good chemicals that the body naturally produces. Tracey’s roots in physical fitness are lifelong, but she’s been a professional trainer for roughly three decades. Ten years ago, Cornerstone’s clinical staff members recognized the need to address the connection between the body and the mind among the patients seeking treatment, and Tracey was brought on board to establish a fitness program. 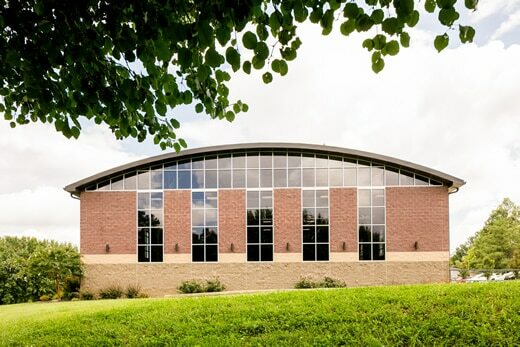 She started out with a limited budget and minimal equipment set up in a conference room, and when the Fitness Center was built as the first new facility on a unified campus, it opened the program up to wondrous new possibilities. 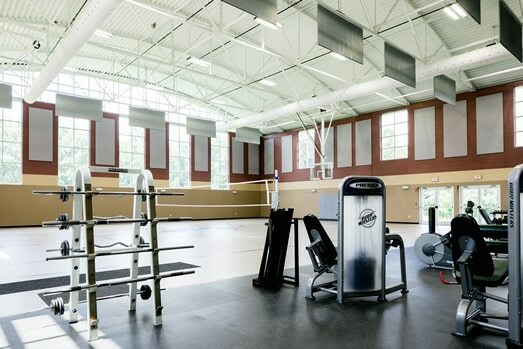 That equipment includes treadmills, weight benches, dumbbells, stationary bikes and various other fitness machinery, along with an indoor basketball court and volleyball court; outside, patients play volleyball on a sand court or shoot hoops in warmer weather. The fitness regimen includes two group participation classes every week, which are geared toward patients in all stages of physical health. And everyone will have fun, she adds … and maybe more. She lights up when she tells the story of one particular patient who weighed more than 300 pounds, required a walker and couldn’t climb into the patient vans without the aid of a step stool; by the end of her treatment stay, she was walking and even jogging around the fitness center and determined to continue to pursue exercise once she left Cornerstone. That, Tracey says, is the whole goal, because patients who feel better physically will get better quicker in other areas of their lives. And when a patient can go from being out of breath after a quarter-mile on a treadmill on day one to jogging a mile at the end of their second week, the improvements to their bodies gives them hope that they can begin to heal their minds and spirits as well.